Dude’s shoe incorporates the familiar Activision rainbow. These Activision games on the Atari 2600 have such fantastic manuals. Rather than a rudimentary guide detailing basic information in a bland format, these manuals have some character in the back stories they lay out and the way they explain the games. Cosmic Commuter is no exception. Its manual is designed as an employee handbook for those entering the Galactic Transit Authority. It opens with a humorous bit about the visionaries of space travel and their lack of foresight when it came to traffic jams. That’s where the player comes in. 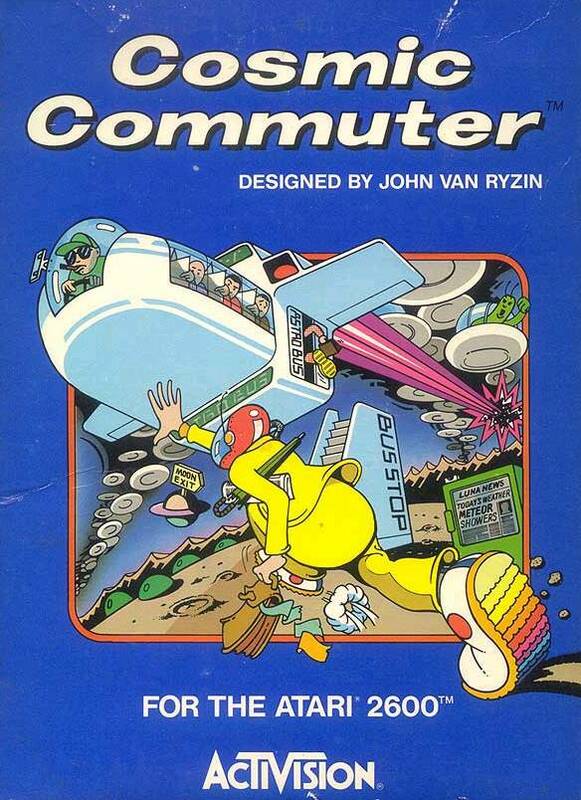 Piloting a futuristic space bus, players pick up commuters in sets of eight and blast them off to their next destination. Even though this game doesn’t offer the mechanically rich gameplay of Pressure Cooker or the repetitive, yet addicting gameplay of Demon Attack, it’s still neat thanks to its zany premise. It’s important to note the Route Scanner Strip on the lower left-hand side of the screen. 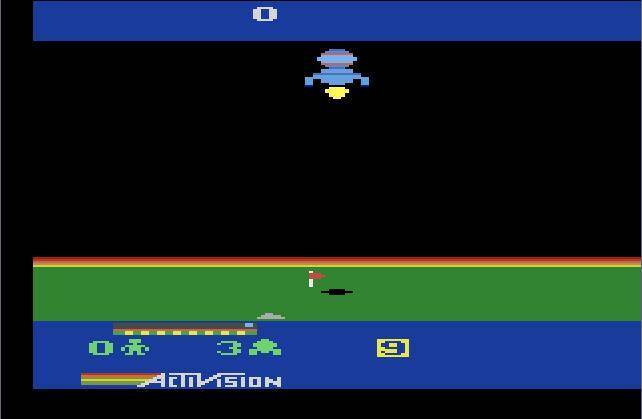 Designed by John van Ryzin and released for the Atari 2600 in 1984, scoring 6,000 points will unlock the “Tilt-o-Vision” gameplay mode in Activision Anthology. This is the first, and one of the few Activision games to not have a related patch.